What You Need to Know Before Exporting to China? 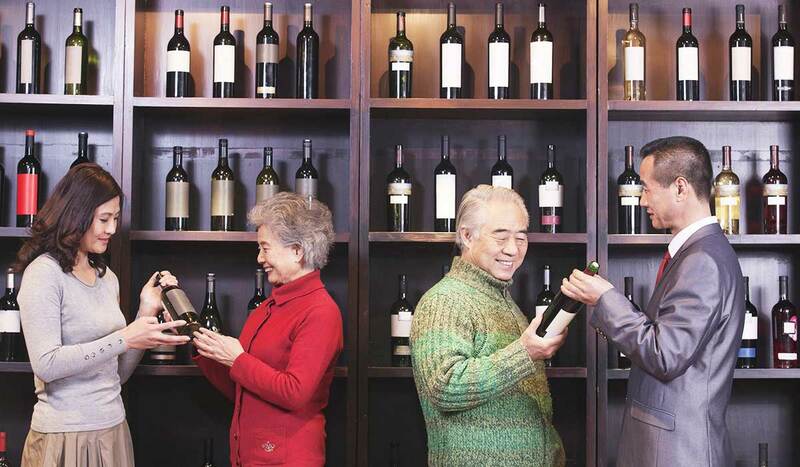 With the frugal policy introduced by President Xi Jinping in 2013, although the sales volume of imported wines in China has not shown negative growth, the growth rate has decreased from 65% in 2011 to 3% in 2014. China’s frugal policy has had a big impact on the French high-end wine market, but it is mainly in terms of quantity. From 2012 to the end of 2014, the production of high-end French wines decreased from 142 million cases to 119 million cases, a decrease of 16%. However, sales of imported wines in China are now growing faster than sales. With the decline in wine prices in major import markets, sales of cheap wines grew at the fastest rate, with sales from January to September this year increasing by 100% compared to the same period in 2014. At the same time, the total output of French cheap wines now stands at 9.8 million liters, about one-third of China’s total imports of wine (the total amount of Chinese imported wines reaches 298 million liters). Below are the top 10 imported wine countries in China based on data from January to September this year, and the specific performance of China in these markets during this period. It is not surprising that France has become China’s largest import wine market, with the country’s wine accounting for 43% of China’s total wine imports. In addition, China’s average purchase price of French wine is also the third highest among the top 10 markets, second only to Australia and the United States. However, compared with the same period, the average purchase price of French wines in France has declined, although it has fallen less than other countries. It is worth mentioning that Australia has signed a free trade agreement with China. By 2019, China’s import tariff on Australia will fall to 0%. From the perspective of the total amount of Chinese wine imports, Spain has been very successful, mainly because the price of Spanish wine is relatively low. In fact, the average purchase price of Spanish wine is the lowest, about $1.5 lower than the average purchase price of the second-lowest Chilean wine. Chilean wines are also beneficiaries of free trade agreements, enjoying a 0% import tariff advantage. Chile enjoys a zero-tariff policy, and the total price of red wines with great price advantage in the country, especially Cabernet Sauvignon, is one of the main sources of imported wine in China. Indeed, in terms of the total amount of wine imported from China, Chile is twice as large as Italy. (Italy is China’s fifth largest wine import market.) For Chile, the only disadvantage is that the average export price of wine is relatively low. Italy is twice as large as the United States in terms of the total amount of wine imported from China. Although Italy’s total exports of Chinese wines have risen, the average export price has fallen. In 10 countries, China’s average price of Italian wines ranks fourth in the bottom, only higher than Chile, Spain and Portugal. The United States does not seem to benefit from the transition period of China’s imports of wine this year. It is the only country in China’s top 10 wine import markets that has experienced negative growth in both total and total, and the average purchase price has also fallen. South Africa is strong in China’s imported wine market, and it is one of the top two markets in China’s top 10 wine import markets with an average price increase (the other is Australia). In addition, South Africa is also the fastest growing market for China’s total wine imports, with a growth rate of 83% and a total of 6 million liters (660,000 cases). Although China’s total imports of Portuguese wines have grown significantly, its average purchase price ranks second to last, only higher than Spain, and its average purchase price has dropped by 33% compared with the same period last year. In China’s imported wine market, Argentina has grown rapidly. Although the total import volume is relatively small, its growth rate is still higher than the growth rate of total imports. Argentina focuses on red wine, which has great advantages in the Chinese imported wine market. Although Malbec red wines are not popular in the Asian market, they are not available in the UK and US markets. Although the average purchase price of Chinese wines in Germany is relatively high, the total import volume is relatively small. This is mainly because drinking red wine is more common in the Chinese market, while Germany mainly exports white wine. The country’s red wine is mainly Pinot Noir (called Spateburgunder in Germany). ← How to choose your importer of Olive Oil in Asia?